Are you stressed about Halloween? The costumes? The parties? The getting the kids ready? If it’s all got you in a dither, take a moment to stop and take a breath. A little planning will do you good. Put in writing a “to do” list and a mini Halloween budget. Map out all the trick-or-treat particulars. Detail what you plan to spend on costumes, candies, parties and/or dinners, as well as incidentals running from decorations to pumpkins. 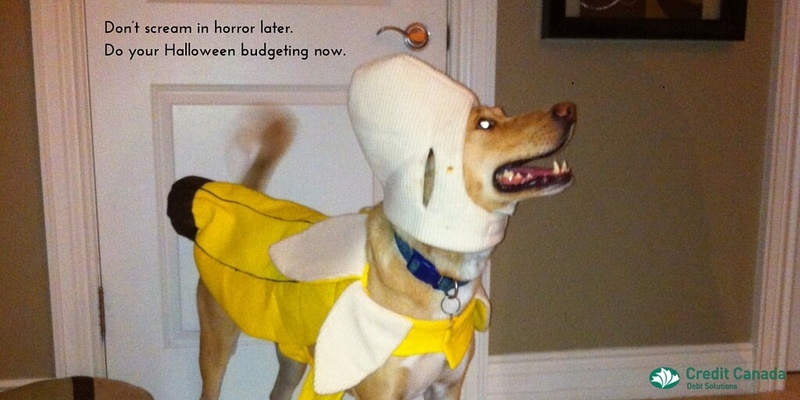 Once you’ve got your plans and budget in order, stick to both to avoid screaming in horror later. Normally, costumes constitute the biggest single expense in a Halloween budget, so give this matter close consideration. If you’re thinking about buying new costumes for yourself or your family, approach what you need item by item. Start by knowing what each costume should be about (get input from all monsters and personages in the house). Then either set a store and/or online shopping schedule to gather the material. For savings, look for store and online deals. Price compare and don’t forget about couponing. Meanwhile, if you’re behind the eight ball financially, ask yourself: can you cut costs by re-cycling old Halloween stuff you already have on hand? Can you improvise with clothes and other stuff already kicking around the house? Also, consider used clothing at places like Goodwill or Value Village, which specialize in deals this Halloween season. Use the Credit Canada budget calculator to determine and add your costs. I heard it from an expert source that parents also trade kids’ costumes to save deals with the size issues. This is a great idea. Who would have thought? Be creative. Help your kids do their makeup to add some flair. Think about visiting craft or consignment stores to explore ways of putting your own costume together. Remember that you can always save money by creating your own ghouls and goblins through make up, improvisation, and old clothing and material. Creativity also applies to decorations. Putting them together make for lots of family fun. Work with your kids well ahead of Halloween to make homemade stuff. Be artistic using an orange and black colour scheme to decorate the porch, yard, and house. Make an event out of carving up pumpkins. Check companies for special promos and deals and, as I say, compare prices. Like when I found grave markers at a dollar store for $2 dollars versus $30 at another retailer.